Guest on this special project will be trombone player and Ellington 'connoisseur' Joost Buis. 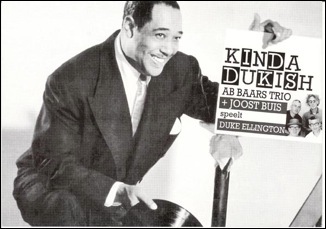 Ab Baars; "For years now I have been listening to the music of Duke Ellington. To me his music is a source of inspiration. The apparent simplicity, the clearness of his music and the compositional thinking in his improvisations are important to my musical thinking, they shaped my musical outlook".